Climbing Mount Everest has long been the epitome of physical and mental endurance. Since Edmund Hillary and Tenzing Norgay became the first people to reach the summit on May 29, 1953, only some 4000 have been able to duplicate the feat; another 200 have died in the attempt. If anything, the venture was even more perilous in those days. As she notes, it was common knowledge in those days that ten percent of all Everest climbers died and for every one climber who made the summit, one climber died. During their six-week expedition on the mountain, 19 people on various routes (in both Nepal and Tibet) perished. 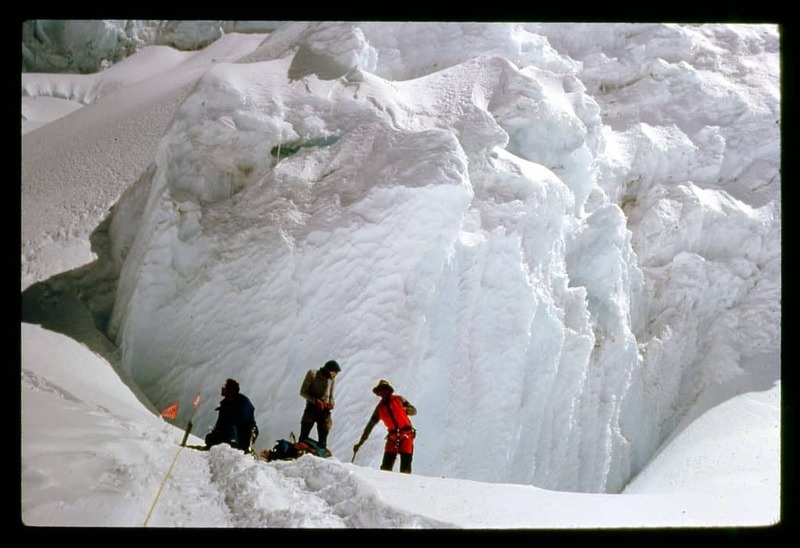 The team that held the permit from the Chinese government for the 1988 climb was called “Cowboys on Everest,” organized by experienced Wyoming climbers. The Cowboy team was composed of 30 men and five women of different ages, backgrounds, and experiences. Aside from the immense physical challenges that come with a climb of this caliber, Cobb described the debilitating mental strains and the severe isolation they had to endure as they were cut off from almost all communication with friends and family for several weeks and had to face possible death each day of the expedition. 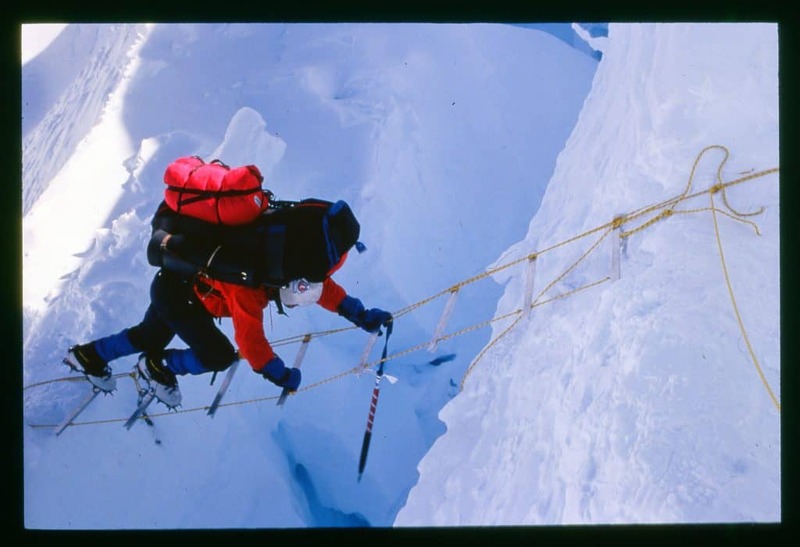 Her book, The Edge of Everest, describes the daunting adventure in greater detail. This excerpt is drawn from her interview with Charles Stuart Kennedy, which began in September 2011. For more on the challenges of climbing Everest, The Washington Post put together this graphic with sound clips from noted climbers. Read about women and minority FSOs. COBB: I thought to myself I’ve really been working hard at my law firm, my two sons were already in or beyond college and I thought, you know, I’m going to take a timeout, take a leave of absence from the law firm. Everest beckoned. 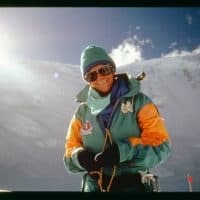 The prior year  I had unexpectedly been invited to go to South America to climb Aconcagua, at 22,841 the highest mountain in the Western [and Southern] Hemisphere. I was not a mountain climber. I was, however, very comfortable in the mountains due to childhood summers in California’s High Sierras and adjusting to frigid temperatures, snow, and ice during my ski racing career. The climbing team I joined were experienced alpinists. The leaders had acquired the second permit given to Americans in 60 years by the Chinese government to allow travel across China and climb Mt. Everest from Tibet, on the long, cold, and dark north side of the mountain. Since the 1920s the only way you could climb Mt. Everest was from the Nepal side, which required a permit that cost a lot of money and took years to obtain. So I found myself climbing in South America with guys who had gotten this rare permit from the Chinese. When we finished our South American journey they invited me to go with them to Everest. At first I said ‘no thanks’ due to my law practice, my family, and an imminent move to Washington DC where my husband was scheduled to be an Assistant Secretary (later Undersecretary of Commerce, and then U.S. Ambassador to Iceland). We did move to Washington. Chuck became very busy and I became very bored. He said, “Well, what are you planning now?” I explained Everest. Of course no husband or wife could possibly want their spouse to do that. But Chuck is a competitor and he recognized this exceptional opportunity for me. So while he didn’t like the idea, he did not say, “I really don’t want you to do that” — prompting me to decide immediately to go. No woman from the United States had ever made it to the top. I was 50 years old. I had the chance to travel across China and Tibet and seek an astounding world record. You can’t really train for high-altitude climbing — for starters, there’s really no convenient place in the U.S. to do it. The two factors that are of definitive relevance are weather and physical acclimatization, the first of which you have zero control over and the second of which you can have only the most marginal impact. Acclimatizing is your body adjusting to changes in air pressure at different altitudes. I knew that I acclimatized easily (to the extent you could test yourself in the U.S.) I would fly from Miami to Telluride, Colorado, and easily ski the 9,000–13,000 foot terrain the same day. I had no problem adjusting to that degree of change, while many people do. It’s very common to experience upset stomach, nausea, headaches, and lethargy when you change altitude. Expeditionary climbs take a lot of time, slowly gaining altitude. I felt pretty comfortable that the expedition time plan would allow me to acclimatize comfortably, or at least as well as anyone else. The next day you take sleeping bags or blankets or something else and might go up 2,000 feet, drop your load of sleeping bags and blankets, and go down to a lower elevation to sleep. So you kind of hopscotch your way up the mountain, supplying several camps along the route. A book publisher called and wanted me to do a book about the climb. I said, “No, I’m not a writer and this is serious business.” They countered by offering a sizeable advance for a book. It was a big amount of money for an ambitious enterprise like ours, and generally speaking, mountain climbers don’t seem to have a lot of money lying around. The advance from this book company would go to the team and it was too good to turn down. We agreed on a diary. I’d take a small Dictaphone and at night, if I was able, I would dictate the expedition progress and what was happening. The publisher was happy with this storyline: a by-then 51 year old woman would either be the first woman from the United States to reach the summit of Mt. Everest or die trying. 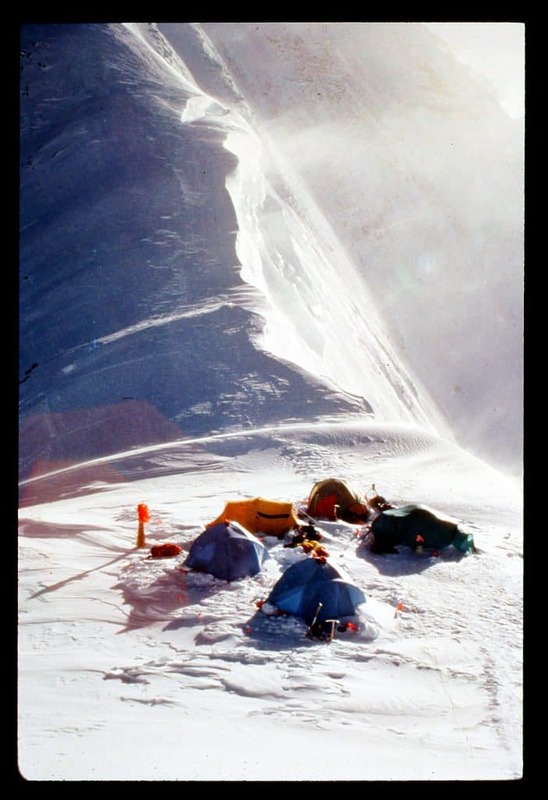 They knew the odds: it was common knowledge in those days that ten percent of all Everest climbers died and for every one climber who made the summit, one climber died. I disappointed them. I did not get to the top by a very short margin – about 900 meters – which is like two laps around a high school track — and I did not die. The book was published: The Edge of Everest, A Woman Challenges The Mountain. I can’t go into the whole story of the climb here, but anybody who’s interested in mountain climbing and its attendant rigors can read this book or others. But I did have a surprise on the trip. Yes, it was physically grueling, extremely difficult, but we were at least mentally prepared for that. However, I don’t think we fully comprehended the toll of the continued extreme risks, the constant exposure to the elements, and the absence of our normal support systems. We had trained for the physicality, but we had not explored the psychological side. In the vastness of the hostile Himalayan environment, we learned – I learned — that each climber is profoundly alone. Understand that this was in the 80’s and prior to the existence of commercial expeditions. Tibet was not at all like Nepal with hundreds of people populating base camp and scampering all over the mountain. There were few climbers on the north side of Everest. We did not climb rope together in formation as many people visualize. We often climbed alone. It was, indeed, lonely. We didn’t really know each other when we started the trip. We were selected because we were fit and qualified to climb a mountain. In deadly circumstances when there’s nobody around whom you really know and know you can trust, who really cares about you surviving, it becomes a lonely psychological struggle. It became both a physical and a psychological challenge. It made me stronger. Our base camp was in the moraine of the Rongbuk Glacier at 16,700 feet. The peak at 29,028 feet was 15 miles away. We had three Chinese “minders” who never left us. They just watched us. They allowed us to use a radio communication system that worked through the Indian Ocean Inmarsat system. So my husband could at times call the base camp and find out if I was still alive, where I was, what was going on, and I actually talked to him from base camp a couple of times. Our team did not have money to pay guides or Sherpas. We could not afford oxygen except for emergencies. When we were at the base camp we hired a handful of yak herders to take some of our gear to the next higher level, but the yaks couldn’t go very high and we didn’t have much money to pay them. We simply carried our team gear and all personal items to the higher camps. It doesn’t sound like much, but if you’re carrying 40 pounds at high altitude and going up a steep mountain, I assure you it feels like a lot. For me it was really hard. Every day, another load, back down to sleep, carry another load higher. Do the same the next day. It was Sisyphean. There were times when I just sat down and started crying, it was so hard, but I would never let anyone see me crying. In the end I lost almost 25% of my normal 130-pound body weight. One interesting thing that I noticed was that in our base camp where all of us could survive comparatively easily with about 20 sleeping tents, a big cooking tent, a dining tent, and a protected latrine, certain cordialities were maintained. There was a degree of decorum with respect to latrine use. As we got higher on the mountain there is neither time nor strength for much in the way of manners and bodily functions are generally just accepted in due course. You simply step off the trail somewhere. The only duty of anyone nearby was to turn your head and wait a few steps further away. Nature has to take its course in the mountains in whatever way it can be managed. Once one of our male climbers had gone off the trail for a more serious purpose than just a quick liquid release. We waited nearby. We heard this huge rumbling and a gigantic rock slide, set free by contracting ice, came rocketing in our direction. We didn’t think we were in danger but we didn’t know if we’d have big ricochets. The rocks are as large as dump trucks, with an occasional airborne moving van. The earth shifts and it’s either an avalanche or rock fall and this was a rock fall and it was within about maybe 30 yards of where we were. We couldn’t tell for sure the degree of danger and this poor guy off trail had his pants down around his calves. He was struggling to run away from the rock fall, much hindered by his pants. It was amusing — but serious. I mean, I laugh about it now, but we were scared for him. After weeks of ferrying life-sustaining equipment up the mountain in preparation for our summit attempt, we heard rumors that a big storm was coming towards us. At the time I was at about 24,000 feet on the Northeast Ridge trying to move up towards our camp at 25,500. It was late in the season and we’d been on that mountain above 22,000 feet for about six weeks. We were nearly ready to make our summit attempts but we were starting to lose the ability to judge what was safe and what wasn’t safe. Most of our teammates had removed to lower altitudes. A couple had to be evacuated from the Rongbuk Valley because they were too close to terminal. There were eight remaining climbers above the Col, including me, whom we thought may be strong enough to make a go for it. All of us were very depleted. But, stubbornly, we still thought we were going to make it. Finally, communicating between camps by relayed hand-held radio messages, we got a weather report: the polar jet stream was headed our way. Winds of 80 to 100 mph were expected. In the opinion of our leaders we were too exposed and generally too wasted to go further up and make it back down alive. 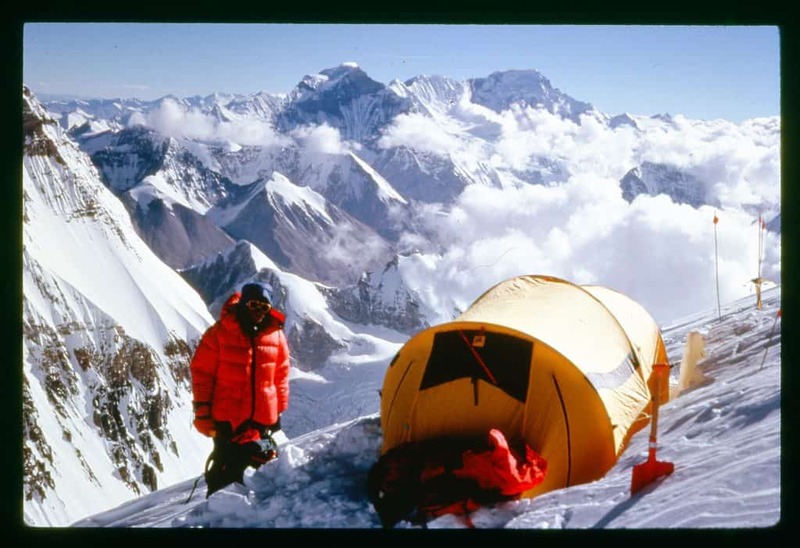 On October 14, 1988 the climbers remaining on the edge of Everest heard these words: “All Cowboys are to descend immediately, we’re not going to lose you guys.” The climb was over. 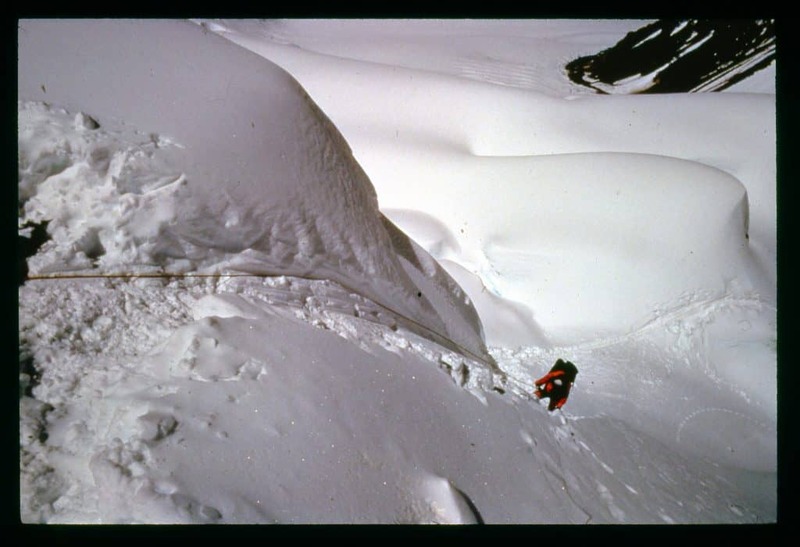 While we were on the mountain, we would hear via hand-helds when somebody had been caught in an avalanche or dropped into a crevasse. We knew when somebody died of exposure or could not recover from a fall. We determined that 19 people on various routes (in both Nepal and Tibet) were killed while we were on the mountain. But no Cowboys lost their lives. All of us ended the trip in bad shape in one way or another, but we didn’t lose anybody. It was really a heck of an experience and to get that close was just incredible. I remember standing on that knife-edge ridge when we got our first weather warning. I was alone. I stopped to think about the message – trying to clear my head. I looked up the ridge at the seemingly very close peak. Then I turned around and I looked at the Himalayan range down below me – I saw that 25-26 thousand-foot mountain peaks were under my feet! I was stunned. On one side I could see Tibet and all the way into China, on my other side I could see Nepal and all the way into India. It was incredible. I couldn’t believe how far we’d come. And for that one moment I felt like I was on top of the world. Standing a little longer in stunned silence, I suddenly felt like a mere insect. You are so small and so dispensable in that environment. It’s just monumental, it is mind-boggling. Gradually it became clear, my climb was over. I began a descent. I looked at her and said “Julie, you’re nuts. Who’s going to come back here? I’ve done this, this is it, it’s over.” Unfortunately, Julie was killed in an avalanche two years later in the Canadian Rockies. I survived Everest and I’ve done quite a lot of mountain climbing since in a lot of different parts of the world, including, contrary to my statement to Julie, back in the Himalayas. I could do that because I learned on Everest that, after all, it is not really about the peak – it is about the journey. Everest was a brutal struggle with rock, ice, altitude and self. Yet when I look back, it is not so much the pain and loneliness I can feel, it is my teammates’ goodwill, the small triumphs, the sheer joy of climbing on the mountain, that is the symbol of man’s highest aspirations. It was the journey. I am immensely grateful for the opportunity I had.